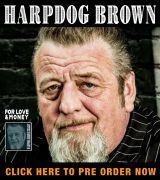 When you have backed artists like Elvin Bishop, Bonnie Raitt, Charlie Musselwhite, and soul legend Howard Tate, one would think that you would have achieved some level of notoriety. 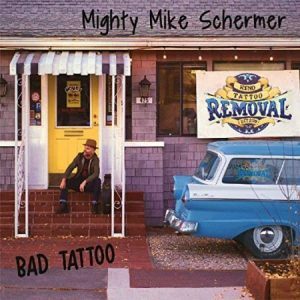 While his decade-long stint in Marcia Ball’s band has given him plenty of exposure, Mighty Mike Schermer is probably not a name that springs to mind when blues fans discuss their favorite guitar players. Yet anyone who has heard Schermer live left impressed with his six string dexterity. One would have the same impression after listening to any of the previous six releases under his name, which would also reveal Schermer’s skill as a songwriter. 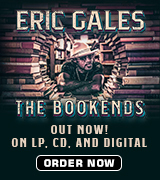 On his new release, he adroitly mixes musical styles, showing the wide scope of his musical vision while getting contributions from a number of notable guests. On “Suffocating Love,” Schermer trades licks with Chris Cain on a tune that harks back to Johnny “Guitar” Watson’s funk period. The backing musicians include Tony Stead on organ plus Paul Revelli on drums & percussion, with Steve Ehrmann on bass. That duo appears on nine of the twelve original tracks. Harmonica ace Rick Estrin blows some fine accompaniment over the loping pace on “Stop Looking For Love”. Lisa Lueschner Andersen adds some vocal flavoring before the song ends with a lively call-&-response between guitar and harp. Keyboard whiz Austin DeLone plays piano on “How Much Longer?” but his Farfissa organ work is the highlight of the jaunty cut, with Schermer obsessing over when his long-gone love will return home, finally exorcising his feelings in a red-hot solo. Cain makes another appearance on “Ain’t That The Way Love Goes,” switching to electric piano while Jim Pugh steps in on the organ. Producer Kid Andersen plays bass and fellow Nightcat Alex Pettersen makes his lone appearance on drums. Schermer’s plaintive vocal is one of his best on the project. “Baby Down The Well” finds Schermer ruefully sharing his views on modern life, joined by Andersen on bass, Bob Welsh on piano, and some hard blowing on the hap from Aki Kumar, answered by a flurry of sharp slide licks from the guitarist. Derrick “D’Mar” Martin is on drums, one of two that feature him. The opener, “She Won’t Be Coming Back,” sports a driving beat as Schermer rips it up, utilizing a tone borrowed from Albert Collins, who was a main influence at the start of Schermer’s career. The presence of Eric Bernhardt on baritone & tenor saxophones along with Nancy Wright on tenor sax make this track another highlight. The horns are back on the title song, a humorous commentary on his reactions to a woman sporting some ink that prominently features the name of a former lover. “Lover’s Hall Of Fame” employs some baseball analogies to serve up a forlorn kiss-off song while “I Can’t Let It Go” finds him struggling mightily to carry on alone. Billy Price joins in on backing vocal. Schermer encourages listeners to do their part to change the world in a fairly generic fashion on “One Thing Every Day”. His thin vocal tone fits perfectly on “Hey Francine,” a country-tinged rocker with a distinct Louisiana flair. “Up All Night” slides into J.J. Cale territory, an easy-rolling tempo with Schermer spicing it up with one last, spot-on guitar workout. The sound throughout the disc is as good as we have come to expect from a project recorded at Andersen’s Greaseland Studio. Schermer’s vocals hold up to repeated listens, his guitar playing is exemplary, and his songs stick with you. If there is any justice in this world, this release will capture the attention of the wider blues community, giving Mighty Mike a level of attention and praise commensurate with his talents.